I love the image of the bears. Your border goes so well with the image. Cute stamps! 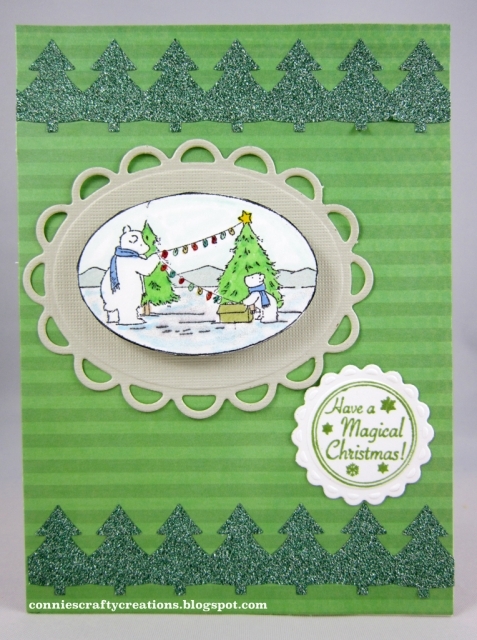 I like the tree borders, they don't look like washi tape! I have never seen this shaped Washi! The bears are adorable!